Bridging the Apple Community and Keeping Tabs on the Rumor Mill. 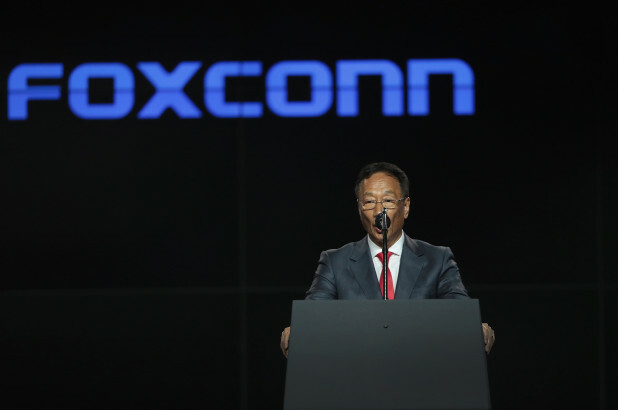 Terry Gou, the chairman and CEO of Foxconn, plans to step back from day-to-day operations of the company in the coming months. "I'm already 69 years old. I hope to pass down my 45 years of experience to young people," said Gou on the sidelines of an event in Taipei on Monday. "That's the goal I set up – let young people learn sooner and take over my position sooner. Then I have more time to make long-term planning for the company." While it appears that Gou will soon resign as Foxconn chairman, he hopes to remain involved in larger strategic decisions. Gou, 69, founded Foxconn in Taiwan in 1974. The company has grown to become the world's largest electronics manufacturer, assembling well-known products ranging from iPhones and iPads to the Nintendo Switch and PlayStation 4. Gou also confirmed that Foxconn will soon begin iPhone production in India, although he did not elaborate on the plans. Last week, a report claimed that Foxconn will begin production of the iPhone X in India this July. Foxconn rival Wistron already assembles older models like the iPhone SE and iPhone 7 in India. Last week, Apple announced that Foxconn and over two dozen other companies in it supply chain have committed to using 100 percent renewable energy when manufacturing Apple products.